SurveilStar console can be installed either on server computer or on any other specific computer in the same local area network. Please note that the administrator can create different accounts for different users and provide different privileges. The default account is Admin and default password is null and we recommend you change Admin password immediately after you log onto SurveilStar Console. In the previous chapter, we have introduced installing console on server computer. 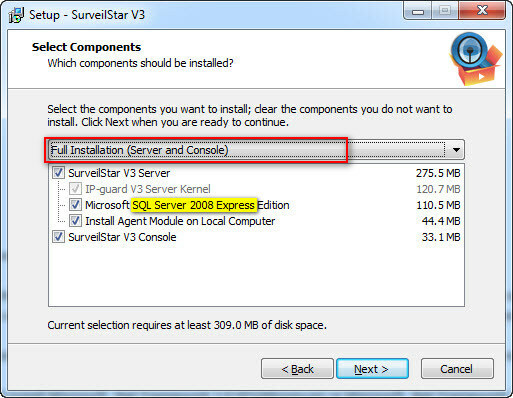 Simply check the option "SurveilStar V3 Console". 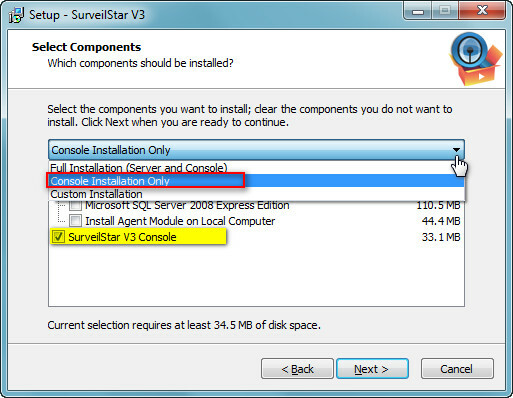 If you need to install SurveilStar Console on other computers, please choose "Console Installation Only" as shown below. © 2008-2019 SurveilStar Inc., All Rights Reserved.